Posted on November 5, 2015 at 8:43 am. 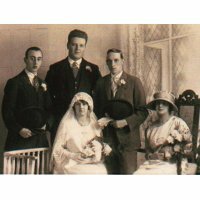 Henry Senior Hemingway was born on 17 October, 1893, the third youngest of eleven children of William and Emma Hemingway, of Victoria Street, Doncaster. Emma was the daughter of Sand House creator, Henry Senior. 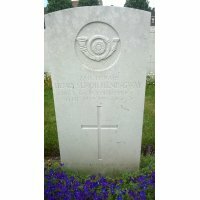 Pte H.S.Hemingway served with the 1/5th Battalion, King’s Own Yorkshire Light Infantry, part of the 148th Infantry Brigade, 49th Division. 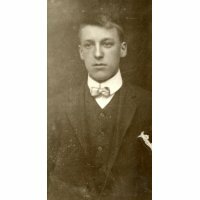 He travelled to France in April 1915, with his battalion. 18.04.1915 to 28.04.1915: 148th Infantry Brigade at Le Doulieu (approx. 15km west of Armentieres). 28.04.1915 to 27.06.1915: 148th Infantry Brigade at Fleurbaix (approx. 7km south-west of Armentieres). 13.06.1915: Bomb explosion at bombing school, Bois Grenier (approx.. 6km south of Atmentieres). 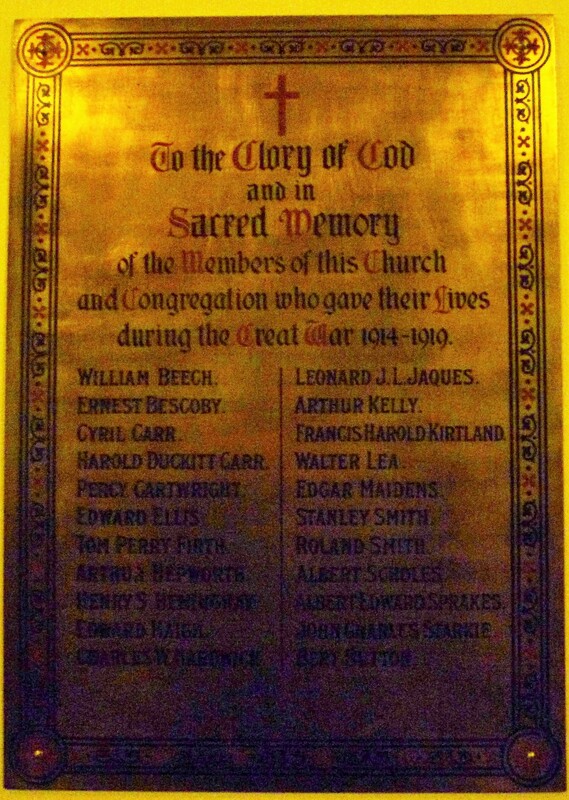 Explosion killed No.2014 Pte W.H.Scott and injures No.2245 Pte H.S.Hemingway and No.1567 Pte J.Cairns. 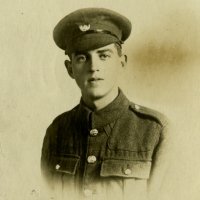 Pte Scott is buried at Cabaret Rouge British Cemetery, Souchez. 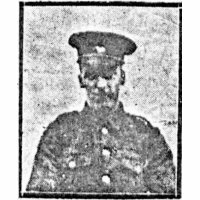 According to CWGC records, Pte Cairns survived the war. 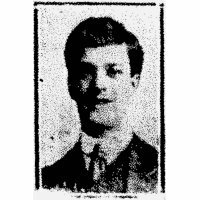 (The Doncaster Gazette of 25.06.1915 indicated that he might make a complete recovery from his injuries). 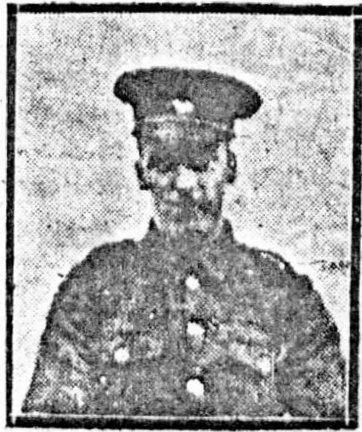 14.06.1915: Pte Hemingway died of his injuries at 2nd London Casualty Clearing Station, Merville. 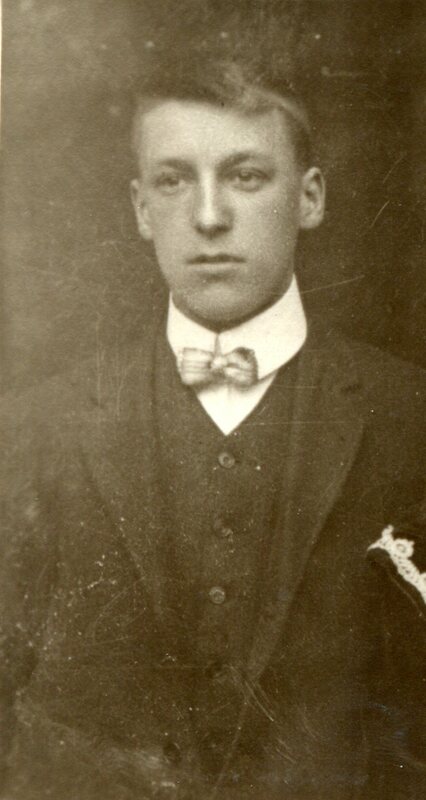 Aged 21. 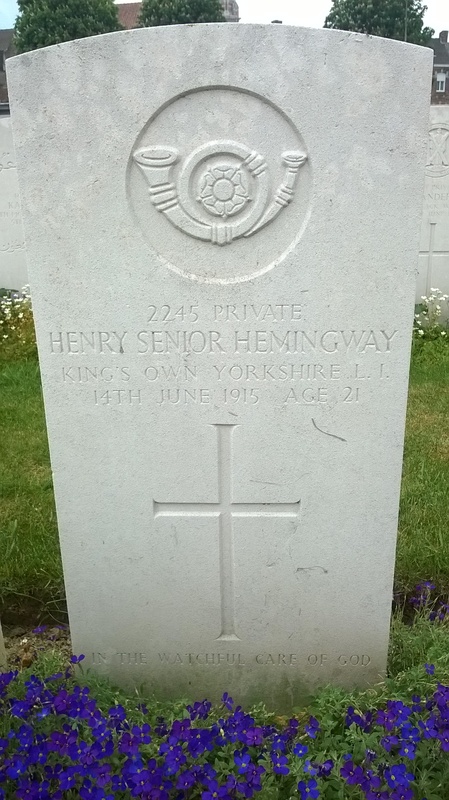 Pte Hemingway is buried at Merville Communal Cemetery. Grave Reference III. K. 5. Merville is approx. 20km south-west of Armentieres. 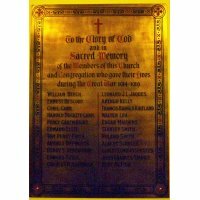 Henry Senior Hemingway is one of 22 fallen soldiers who were members of the Church and congregation at Priory Place Methodist Church and are commemorated on a Roll of Honour plaque in the downstairs rear chapel of that Church.